Acid reflux is a common problem in infants. Parents often struggle to find a way to make their babies more comfortable and help them spit up less. Probiotics have been shown to be beneficial for a number of problems with the gut, but there is some question about whether they might be helpful for infants with reflux symptoms. Some scientific evidence supports the use of probiotics to ease baby gastric discomfort. Babies are at a higher risk for acid reflux because the muscular tissue above the stomach is not fully developed yet. This allows stomach contents, including acid, to leave the stomach and irritate the esophagus. A small amount of reflux is normal in babies. Excessive reflux can cause problems, however, including persistent spitting up, arching the back, crying after feeds, and poor weight gain. Reflux may sometimes be a cause of colic. Probiotics are bacteria that normally live in the intestines and do not cause disease. 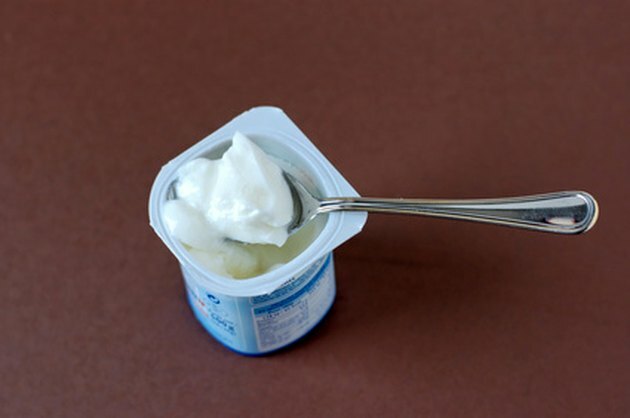 According to a review published in the journal "Pediatrics" in 2010, taking probiotics, found in yogurt or taken as dietary supplements, has been shown to be helpful in a variety of child health problems including antibiotic-associated diarrhea and eczema. The review article explains that the bacteria in probiotics are thought to modulate, or change, the immune system to decrease inflammation in the body. A study published in the "European Journal of Clinical Investigation" in 2011 looked at the effects of probiotics on reflux in infants. The study showed that giving the babies the probiotic Lactobacillus reuteri seemed to help with reflux by causing food to move through the stomach quicker. 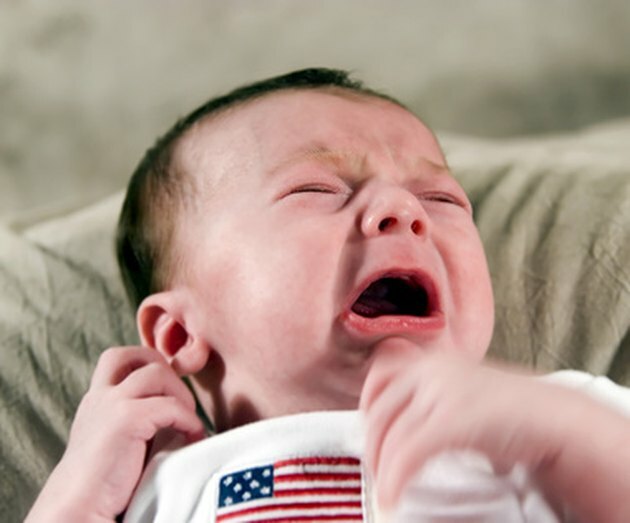 The babies who had the probiotic had less spitting up than babies that received a placebo. Probiotics are usually very safe for babies with a healthy immune system, according to "Pediatrics." Still, more studies are needed before a strong recommendation can be made regarding the use of probiotics to treat infant reflux. If your baby has reflux, discuss probiotic use with a pediatrician.